This is… everything. 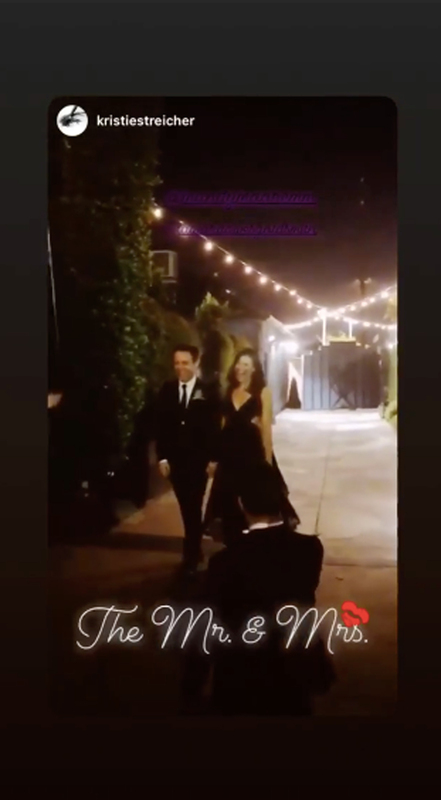 Mandy Moore married Taylor Goldsmith this weekend in a boho-themed wedding, which initially remained hush-hush from the public eye until everyone involved decided on Tuesday, November 20, to unleash a flood of photos from the breathtaking occasion. The entire wedding was very much a reflection of the This Is Us actress and the Dawes lead singer. Moore opted for a custom pink dress by Rodarte over white. Below, The Knot reveals new details and photos from the nuptials. The planners and designers behind the occasion transformed the star’s outdoor space with breathtaking design elements including rugs lining the ceremony path. 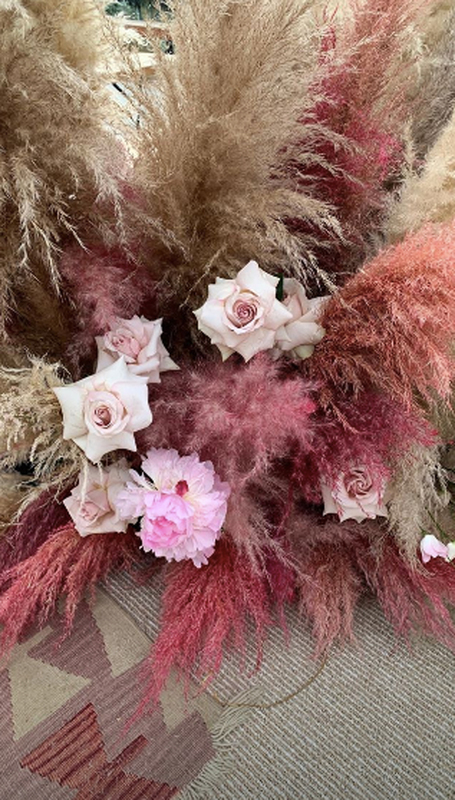 The backyard of Moore’s home was embellished with over-the-top, whimsical floral installations–lush wheat sheaves lining the aisle with a base of baby’s breath and lush roses–all culminating to a pink, textured baby’s breath arch. And the bride wore pink! Moore, who was previously married to musician Ryan Adams, wore a custom pink tulle embroidered gown featuring ruffled tiers, a collared neck and Swiss dots. She accessorized her gown with a matching veil by Rodarte’s Mulleavy sisters, while the look itself was styled by Cristina Ehrlich, who took to Instagram to share a detail shot of the dress. “The craft, artistry, and love that went into the making the most special dress, for an angel, a client and dear friend…” Ehrlich wrote to honor the bride. Moore capitalized on her love of baby’s breath by having her hairstylist, Jenn Streicher, form little clusters of the flowers placed in sections of her hair. She then placed her veil over the adorable clusters to soften the florals in her tresses. What a magical day. I laughed, I cried and I danced real hard. @mandymooremm @taylordawesgoldsmith. And that custom @rodarte dress was truly a dream. The bride opted for a dress swap at her reception, revealing more skin in a black gown featuring cut-outs at her waist. The pair hosted their reception at the nearby Fig House. Instead of serving just one cake, the couple had 12 different types of mouthwatering options for their guests to enjoy. As previously reported, Moore’s current This Is Us costars were in attendance, as were many of her friends in Hollywood. One of her best friends, actress Minka Kelly, all the way to the Obama administration’s head of VIP relations, Chase Weideman, attended the nuptials. 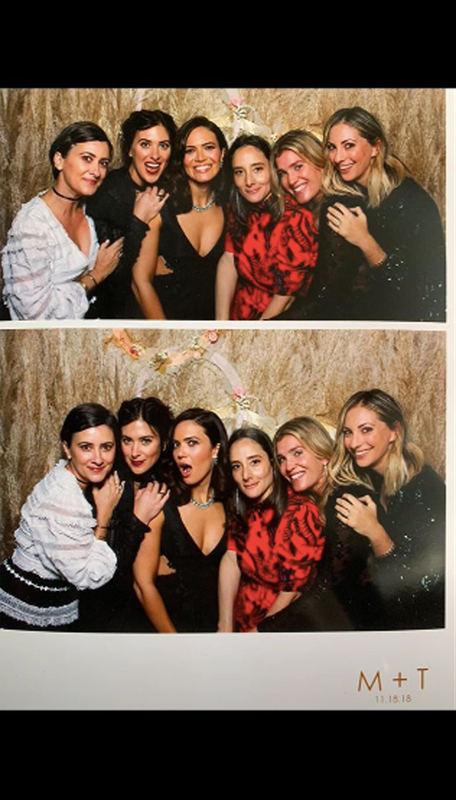 Blogger Emily Schuman and of course, her glam team, also toasted to the pair. Finally, Moore’ agent and the CEO of DBA, Raina Penchansky, officiated the wedding. The couple’s guests had a fantastic time in their photo booth that remained on theme with the rest of the wedding itself as its backdrop was decorated with wheat sheaves. The pair also surprised guests with an impromptu joint performance on stage at the reception, which ended with a sweet kiss between Moore and her new husband. According to E! the couple had a variety of food stations set up inside the venue, including a whiskey bar. Both Moore and Goldsmith took to Instagram Monday to celebrate their “just married” status. Moore had sadly lost her beloved cat a day before the ceremony, and mourned her pet on Instagram. 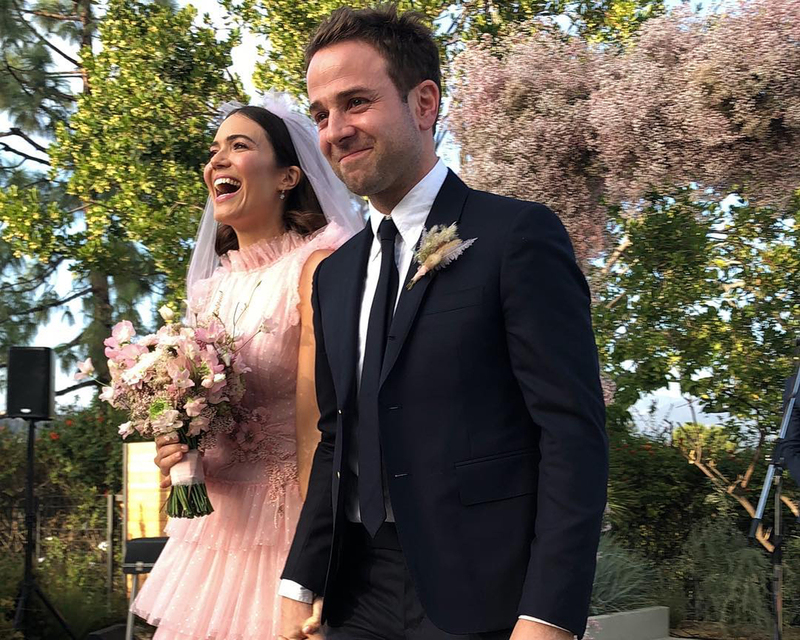 Be the first to comment on "Mandy Moore and Taylor Goldsmith’s Wedding Was a Boho-Themed Dream: See the Album"